NetZoom™ Professional makes it easy for Space Planners to know their data center capacity in terms of Assets, Space, Weight and Port availability. 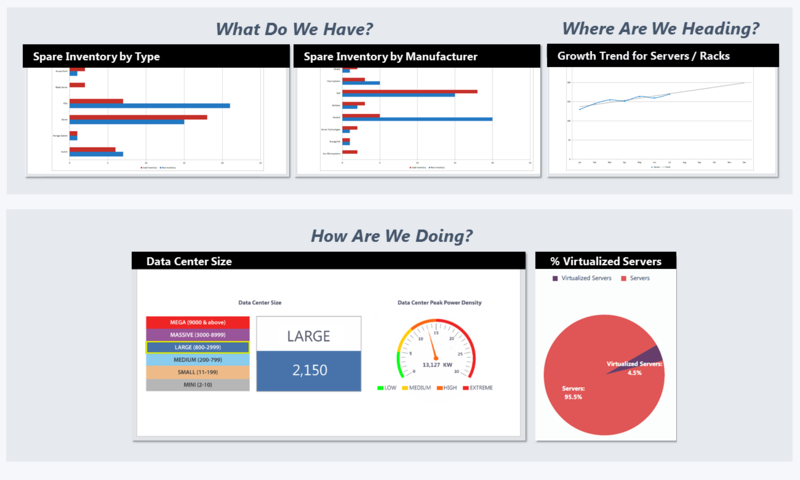 Know your Capacity quickly with simple, customizable dashboards, analytics and reports at any place in the data center. If you need Real-time monitoring for more advanced Capacity Planning and Analysis, consider upgrading to NetZoom Enterprise.